Well and truely behind on the old blogging! Had a couple of ‘lost’ weekends. The first was spent in our hire van moving things here, there and everywhere. Firstly we collected the contents of my previous garden, which has been expertly cared for my my Aunt & Uncle over the last six months, thanks! While we had the hire van for the day, we took the opportunity to deposit some stuff at my parents house, in the time it took me to take their things to the door, one of their neighbours popped out and slung his tat in the back of the van thinking we were scrap collectors!! Cheeky blighters!! We then drove the ‘scrap’ van to collect a MASSIVE sheet of MDF which will become the new kitchen bay windowsill. 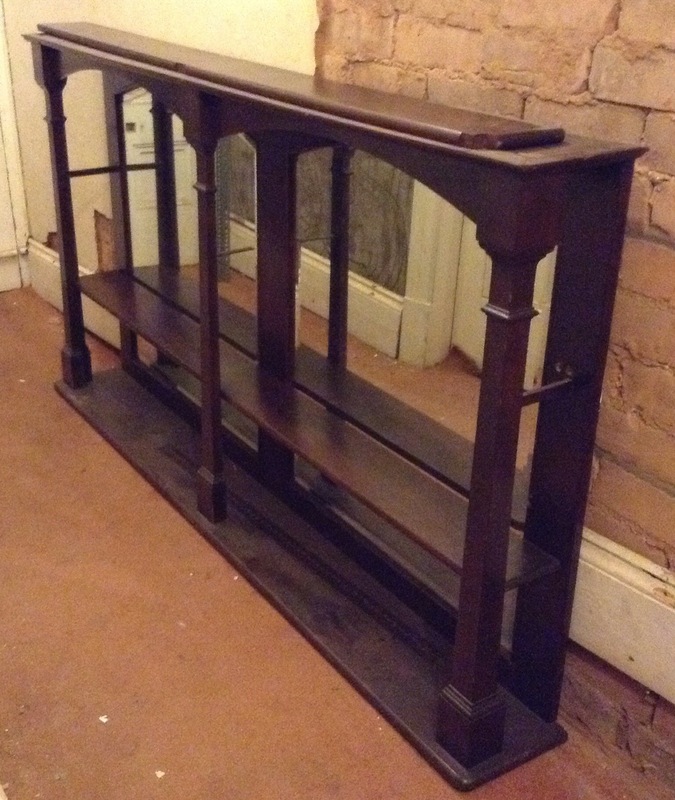 More excitingly, we also picked up a Victorian shelf unit we’ve been offered by our friends June and Martin (June is our chief curtain maker… More about that in future updates!) They had it displaying all sorts in their deli, but even before that, it had started off life in a local public house. This picture does it no justice at all, it’s currently parked in the hall – We’re hoping it will go on our kitchen wall. I also organised the kitchen storage and pantry at long last, I’ll post that later…who knew kitchen storage was such an issue? 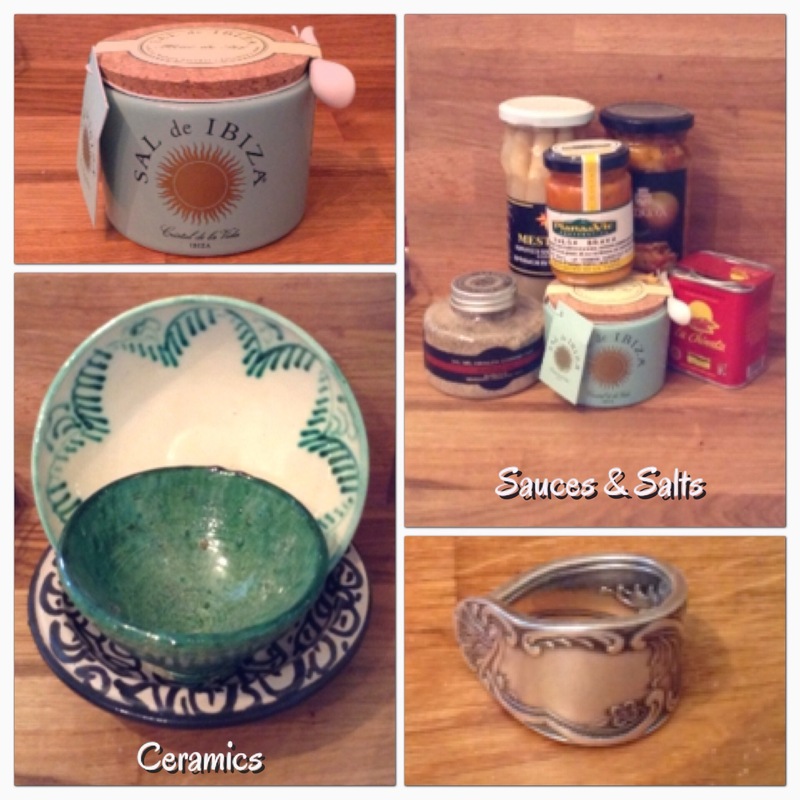 MORE Spanish ceramics (slight hoarder issues), random ingredients, overpriced salt we don’t need but just look at that beautiful little pot! Oh, and this silver ring made from an antique spoon handle. I love a bit of re-purposing. Last but not least, we picked up this little framed tile effort from a bric-a-brac shop for a bargain 10 Euros. 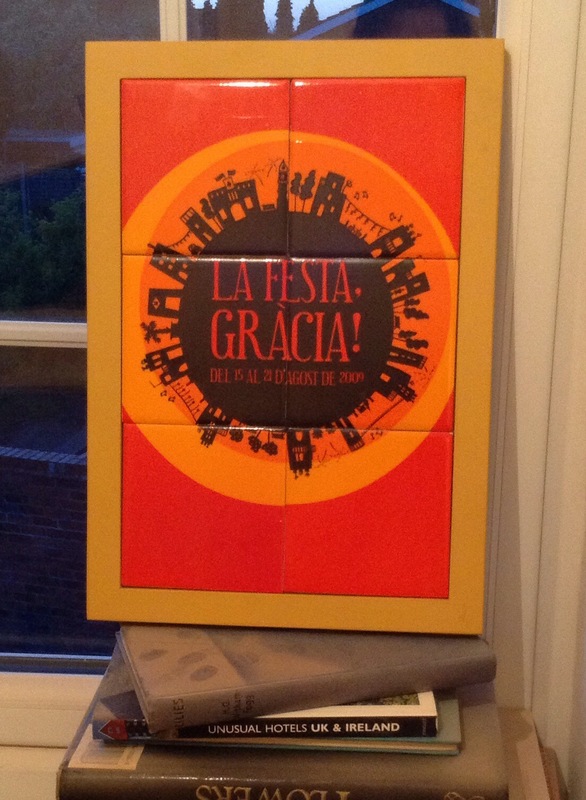 It commemorates the Gracia festival, which was where we stayed so it’s a perfect souvenir. Actually that wasn’t quite the last purchase as I also acquired a few shopping bags from Zara, but we won’t go into that hey! Summer is just around the corner! 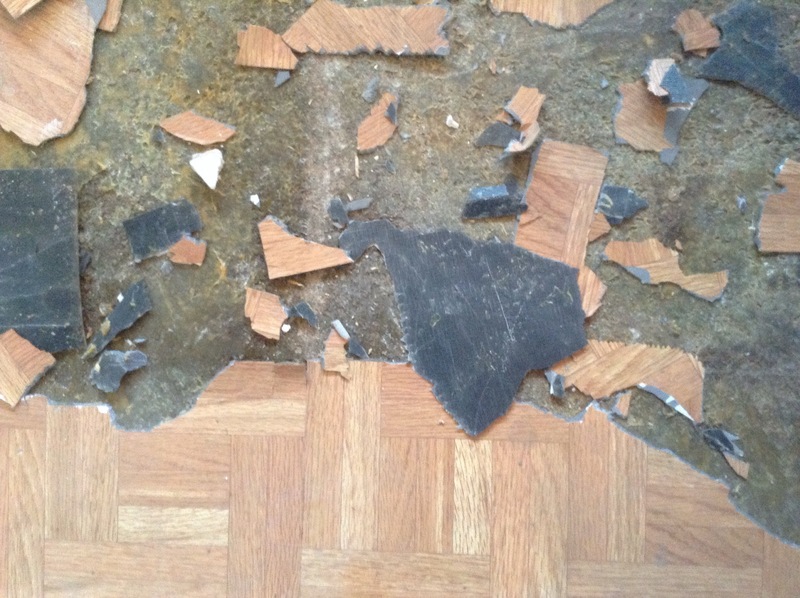 Back to the grindstone, Today was spent chipping the lino tiles from the kitchen floor, what a joy, tomorrow will be much the same. 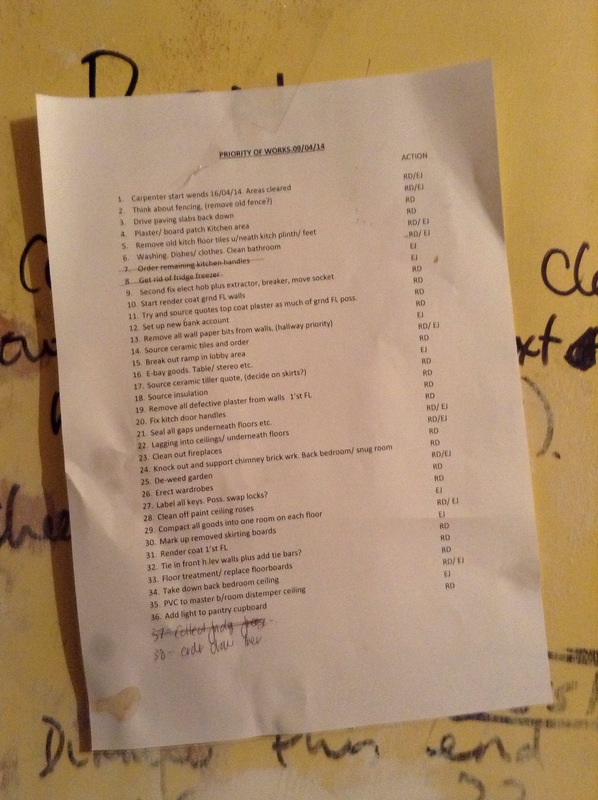 And in case I ever finish the floor, Ronnie has issued me with an (extensive) do list, in priority order to keep me busy… Thanks for that. This entry was posted in Barcelona, victorian, pub fittings, pantry, Uncategorized and tagged cherry blossom, lino by ladylansdowne. Bookmark the permalink. Ditto!!! Three weeks and I’ve not even glanced at the blogs I follow never mind post on my own! I wish a trip to Barcelona was the reason though and not sinusitis! I am however enjoying going through all the new posts and catching up. Definitely need to make a conscious effort this weekend to update the blog with what we’ve been up to recently. You picked up some fab bits in Barcelona! 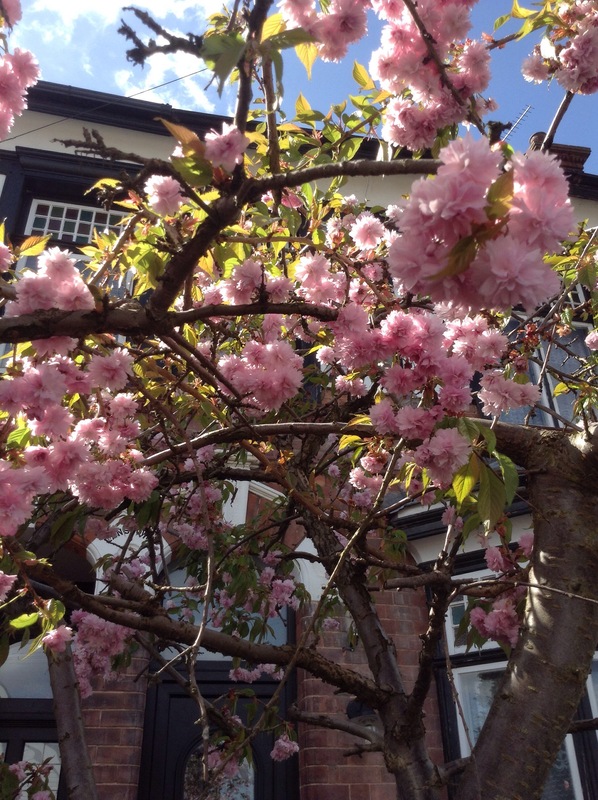 And the cherry tree looks beautiful!! Lovely pic! I was just thinking about you and your butterflies today, our cat brought in three of those pretty ones that you found, god knows where she’s getting them from! 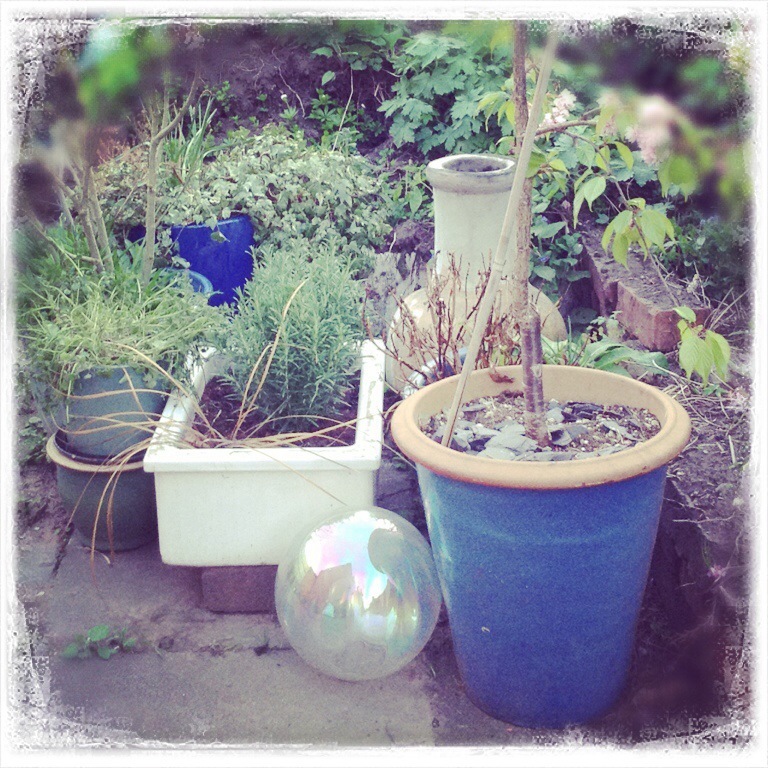 I’ve made them a little recovery centre in the garden… I’m not holding out much hope though. Sinusitis sounds grim… At least it’s sunny hey?